This is a compatibility list for PSP users using OpenIdea ISO loader. If you’re on the following firmwares 6.20 TN-A Hen, 6.20 TN-B Hen, 6.20 TN-C Hen then be sure to check out this post for updates. If you’re on , 6.31 Hen, 6.35 Hen, please wait for a proper release on your firmware version. The OpenIdea ISO loader a plugin by Dridri that allows you to run PSP games straight off your XMB. It is currently at version 0.2 Beta 3 (although for some reason, it still shows up as 0.1 Beta 3 on my PSP), this makes for some incompatibilities with some of the older (and at times newer) games. This post is a compilation of games that either work or don’t work with the OpenIdea ISO loader for the PlayStation Portable. Most of the updates you’ll be seeing are from the comments by other PSP users so you’ll be getting the most up-to-date information possible. im using iso tool right now and makes icons for the games or eboots in xmb, im not sure how iso loader works, so what will happen if i try it on a 635 pro 300x and the iso tool xmb created icons are already in xmb? also i see iso loader puts things in the system folder, is this dangerious? The 3rd Bday didnt work 4 me 🙁 what driver did you use? Okay. PSP 3001, 6.20 OFW, TN-C HEN. Tried loading cso files for all of these, and all it did was take forever to get the information. It even forgot that I had other games loaded on the memory stick!! Hmm. Dissidia’s been working fine for me; you might want to make sure there’s no disk in the UMD drive or try another driver. PSP 3001, 6.20 OFW running TN-C HEN..
Just tried Smart Bomb for PSP, and it hangs at the loading screen. Crisis Core Final Fantasy VII works with this plugin. As a heads-up, try not to sleep mode an ISO this way for too long (say more than 5-8 hours) or else it’ll black screen and you have to reset the PSP. It happened to me earlier while letting Dissidia sleep. OK it’s me again.. as a heads-up, REALLY try to not use sleep mode when possible. I let Crisis Core FF7 “sleep” for several hours, blank screen. Restart PSP, reload HEN, reload CCFF7, put it to sleep for no more than 30 seconds, got a black screen. Just popping in to say that while trying to exit my game via the home button, it hung until the PSP ultimately shut itself off. BTW I forgot to mention I was playing Dissidia Final Fantasy, however like with the lockups on all the other games, it acts up on one, there’s potential for the others too, right? That being said, Metal Gear Solid: Portable Ops also works with this plugin. Killer. Thanks for the new version. Except I tried playing FF2 on the new version (it actually says 0.2 beta 4 this time :D) using the m33 driver and put it to sleep. It freezes and doesn’t goto sleep. Using the NP9660 driver, the loader just crashes; doesn’t even attempt to load a game. The NP9660 crashes with every game I’ve tested. OK. Metal Gear Solid: Portable Ops crashed upon exiting the game using the OpenIdea driver. The Legacy driver in this version seems to be pretty solid (no pun intended). Legacy driver seems to play nice with sleep mode and the home button exits, so far. I’ve only tested FF2, Dissidia FF, and MGS: PO up till now. Oh yeah, forgot to mention that Smart Bomb is 110% working with the Legacy Driver as well. It also happens to be the only driver that it’ll work with; the others just crash and burn upon loading. I also don’t know if this is related to the new plugin version or not, but when I copied a new iso file to my memory stick, it wouldn’t show up until I restarted vsh. that being said, is there a way to set the Legacy driver to the default driver, so I don’t have to keep resetting it? You can remove the other .prx files inside the OIP folder like oi_march33.prx and march33_620.prx to make the legacy driver default (as it’ll be the only thing that OIP will load) but I doubt it’ll be stable. :/ Dridri should really brand OpenIdeas as an Alpha though. Btw! I’m using OpenIdea Beta4 now! Works gr8! Metal Slug Anthology (Wow… Almost jumped up and down when I say the SNK logo and Intro movie and stuff, load a game and pooof! the amazing “plok” and power off!) Oh yeah, “Not Working!! Fo shizzles sake! Huge mistake of mine!! Hey. 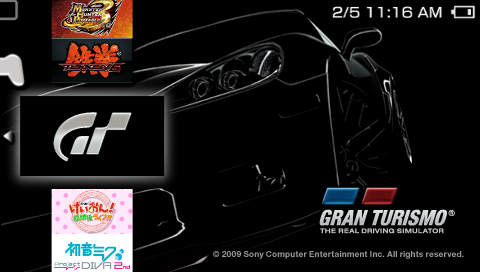 You’re also using the other drivers as well (hold down the L button on the PSP screen when you load the game) right? I’ve tested it and it’s the best one yet! What about stanbymode? It simply turns off! The Prometheus ISO Loader has the same compatible game list as this one, but u have to open the app and what not and there’s no legacy driver. I agree that standby mode for OpenIdea can be problematic :/ It turned off while I was unlocking stuff in Project Diva. LOL! I press the screen button (__) and Sound Button to silence and off I go! When I come back, It’s ON like Donkey KONG BIOOTCH! hello! Why is it Crazy Taxi is not working, I followed the instructions in installing at it just stops in the screen where it says ” warning. do not eject the UMD while its playing.” please help me..
*pokes topic* *smells topic* =| I think this topic is dead dooooood! Have you noticed that lateley has been released a sh## load of cfw with psx suporte? And total noob hasn’t released anything yet!! Total_Noob is holding releases because of what happened with 6.35 Pro-A4. Since Team Liquidizigong was able to push through with 6.35 Pro-B, we’ll probably see 6.20 TN-D in a few days. no prob on the list madeiRa :). I do hope we get updates for OpenIdea soon 🙂 Either that or we stick to using the old m33 prx file for compatibility. Hey slv3r! I found this app (Mysleep V4) It put ur psp asleep with HEN by pressing L+R+/\ (triangle) ^^ Look it up! I Just read the news… No TN-D … Gr8… Guess I have to go PRO! =\ Dangit! Now how do I update to 6.35? have you got Pro-B Link? That’s why u haven’t frequented this thread? that, and I only test games that I have and/or interest me.